I read using a number of different styles this month, which made for a pretty crazy amount of literary consumption. I started a bunch of other books as well but haven’t finished them yet so we shall see if any of them actually get read. 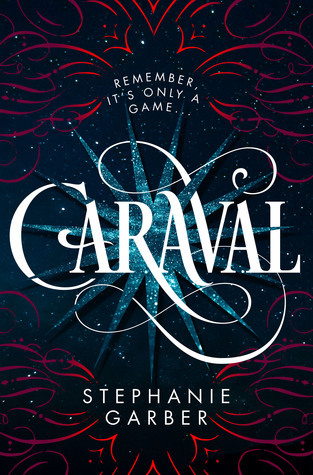 Caraval by Stephanie Garber – I was dying to get my hands on a copy of this book and then magically, the people at Indigo Home Office made my dreams come true. I loved this book from cover to cover. I can’t wait to write a review of it for you guys, but I didn’t want to post it so far in advance of the publication date since most people can’t get it until Jan 31st. Let’s just say, you should always remember that it is only a game, and leave it at that. 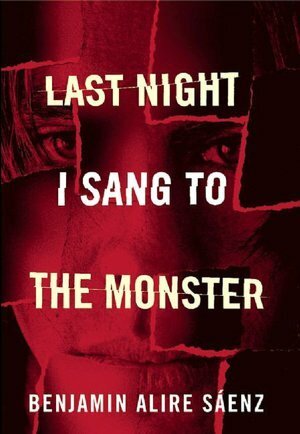 Last Night I Sang to the Monster by Benjamin Alire Sáenz – This book reads almost like poetry. It’s very lyrical and choppy in the way it was written, but that just seems to make it more real. This one really reminded me of One Flew Over the Cuckoo’s Nest in tone. It was serious and dark in a way that a lot of the other YA books I’ve read about addiction didn’t quite capture. The therapy sessions, the way that Zach talks about his family and his friends… it’s just deep and heartbreakingly beautiful. 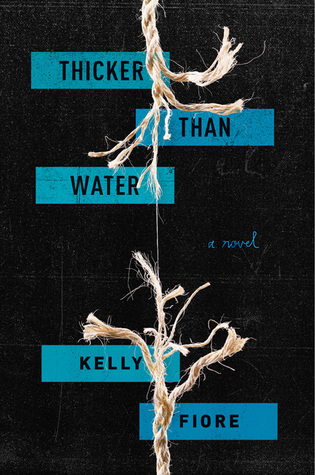 Thicker Than Water by Kelly Fiore Stultz – I felt like I was reading a murder mystery many times while flipping through this book. It made me immediately suspect about the conditions that sent CeCe into the prison/mental health facility. I feel like you can never trust the first person who says they killed someone in a book. I really liked that this was one of the first books in this long binge of “teens with issues” books that actually put some blame on the parents. So often, even when the parents are completely awful, they get away with everything and the main character is left to deal with the fallout. Clean by Amy Reed – I guess my “teens with mental health issues” genre binge has changed a bit into “teens with addictions” because this one is about a bunch of teen addicts in a facility to help them sober up. It was a very fast read that gave you a bit of insight into each of the 5 main characters. The various essays they had to write while in rehab provided a great insight into their motivations. 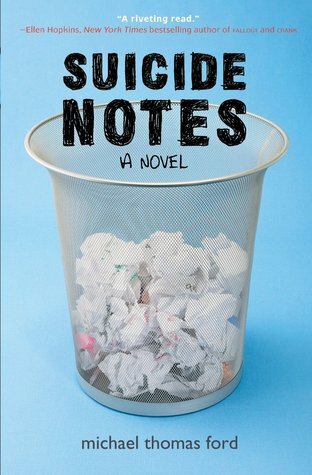 Each of the characters was a bit of a stereotype, but that just meant that there would be someone for every reader to connect with. 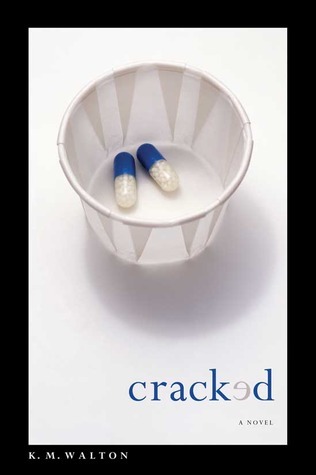 Cracked by K.M. Walton – This is a classic bullied versus bully story with a bit of a twist. I really liked that for once the manic pixie dream girl in the mental hospital wasn’t the end goal of the story. Victor thinks that he falls in love with her, but thankfully realizes that a relationship of a few days in a highly contained space doesn’t make for a realistic future. I was very disappointed that so little was done about the seriously neglectful and abusive parents in this book. 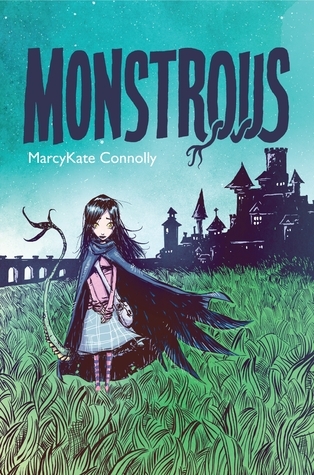 Monstrous by MarcyKate Connolly – I’ve been drawn to this series for a while now but wasn’t in the mood for middle-grade fantasy until recently. I ended off my month with this book and I’ve started the second in the series now. This is an interesting retelling of Frankenstein, with a little girl as the monster and her father as the doctor. 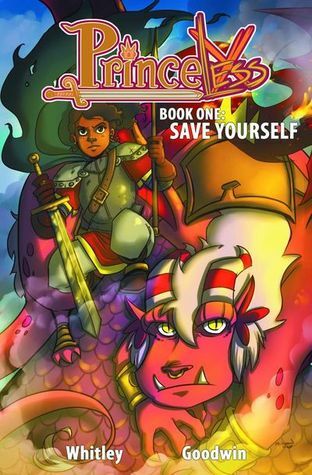 Kymera and her mother were killed by an evil wizard who has been tormenting their kingdom for years. Kym’s father learns how to bring her back from the dead, but is forced to put her together using parts of other creatures, making her a monster. 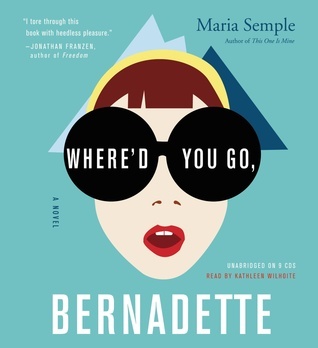 Where’d You Go, Bernadette by Maria Semple – I’ve been meaning to read this book for years but just couldn’t get into it when I tried. Finally, I found the perfect format to reading this book is actually listening to the audiobook. I loved the reader from the very beginning, and then she totally blew me away when she started singing. I feel like I got a completely different experience listening to this book than I would have by just reading the text. The reader also did a great job of changing her voice slightly for each character so that you can always tell who is narrating a particular section. This epistolary novel could have been totally horrible as an audiobook, but instead it was completely magical. 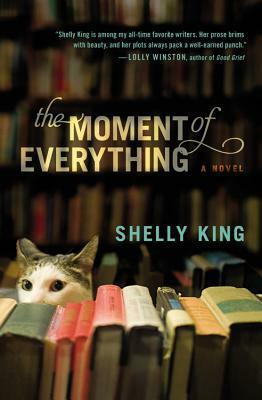 The Moment of Everything by Shelly King – I’ll give any book about books/libraries/bookstores a try because I’m just that much of a book geek. This is a really cute story about a woman who finds a series of notes written in the margins of an old copy of Lady Chatterley’s Lover, who then uses this to save the used bookshop that she has come to love. It’s full of love, geekery, bookishness and friendship. It was a really quick read that kept me entertained during a long and boring day of spreadsheets. 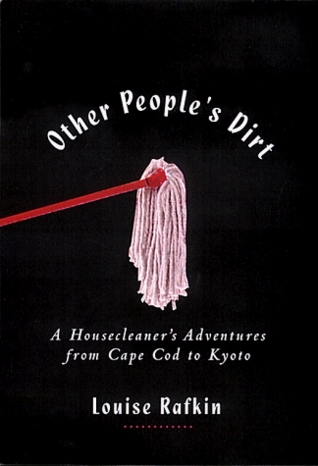 Other Peoples Dirt: A Housecleaner’s Curious tale of Adventure by Louise Rafkin – I was feeling a bit non-fictiony towards the end of the month so I decided to give this book a try on a rainy afternoon. It’s basically a series of short stories from the author’s life as she cleaned houses all over the world. What started off as a simple way to make money ended up being a lifelong career, and an interest in the lives of cleaners all over the world. She writes about some of her more interesting clients, interviews other cleaners who work for the rich and famous, infiltrates a Messies Anonymous group, and joins a cleaning commune for a while. It’s funny, interesting, and enlightening and was a great way to pass the time. Princeless, Vol. 1: Save Yourself by Jeremy Whitley – I am so in love with this series. I’m desperate to get my hands on the rest of it because Scribd only has some of the books and skips over Vol 3 entirely. It’s so refreshing to see these fairytale stereotypes turned on their heads with a great diverse cast. The Mocking Dead #1 by Fred Van Lente – I don’t really enjoy the zombie genre, so I thought this would be a fun twist with the obvious reference to The Walking Dead. Instead it was a pretty standard zombie story with a lot of the mockery being directed at geek culture. There was some great biting commentary about the issue surrounding “fake” geek girls, but overall it felt like the authors thought they were writing in support of geeks when it just came across as making fun of them. Wild’s End, Vol. 1: First Light by Dan Abnett – I really love the art in this book, which is what drew me in originally. It’s a bit of a fairytale and sci-fi mash-up full of mystery and mayhem. I don’t have a lot to say about this one. It was just a fun read that I’ll probably keep following as more of the series is released. 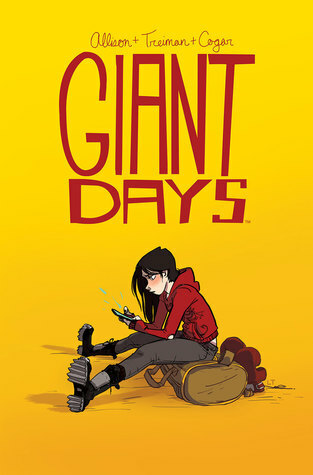 Giant Days, Vol. 1 by John Allison – I remember reading ScaryGoRound a number of years ago but had no idea that Giant Days was a spinoff series from it. The art is completely different from the original style, which is why I was so surprised. I had a lot of fun reading this book. It’s just silly fun about some freshmen girls who have very quirky personalities. I’m looking forward to reading more in the series when it comes out. The Trouble With Women by Jacky Fleming – This book has been on my radar for a long time and I was really excited when I saw it in the bookstore. Sadly, it didn’t live up to all my expectations. It was still very funny, but I had been under the impression that it would have more information about amazing women throughout history. I totally get that it was supposed to a humorous jab aimed at the lack of female representation in history books, but it did nothing to help change that either. So what did you read this month? Do you listen to audiobooks or read graphic novels? Do you count graphic novels in your monthly stats? I’m so glad you loved Caraval! I’m dying to read that one!! Looks like you had a great reading month.